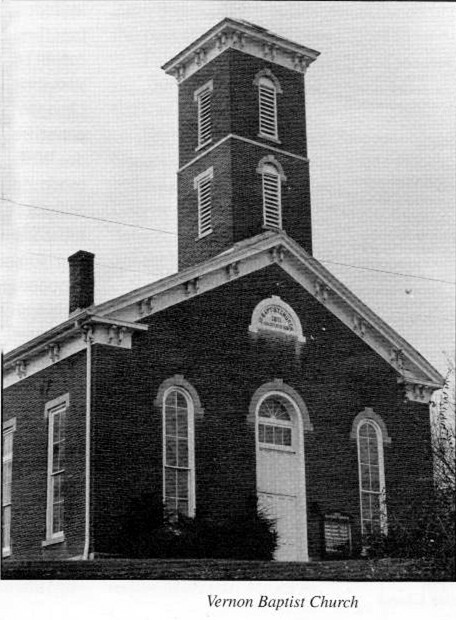 The records of the Vernon Baptist Church are on Microfilm at the Jennings County Library. Transcription of Vernon Baptist Church Microfilm Record by Karen Carter researcher of a number of early Jennings County families including Read & McGannon. Thank You Karen for all this work! An Exposition of the Church of Jesus Christ at Vernon. Revised by the following Brethren appointed as a Committee by the said Church at her meeting of business 3rd Saturday in March 1839. William T. Stott, Samuel Read, Joseph Cowell, William Green, and Richard Stott.